Asian elephants (Elephas maximus L. 1758) were once found across a much wider geographic area than they are today. Whereas modern populations are restricted to small pockets across Southeast Asia they once lived across an area that extended through most of southeastern Asia, all the way to Turkey and the Levant in western Eurasia. Unfortunately, fossil remains of elephants that lived outside of today’s range are very rare and we know little about their relatedness to living elephants in Southeast Asia. It has even been suggested that Asian elephants that once lived in the area today comprising countries such as Turkey, Syria, Lebanon and Israel constituted its own sub-species: E. maximus asurus or the Syrian elephant. The Syrian elephant, whether actually constituting its own sub-species or not, went extinct around 2000 years ago. New research by a team of scientists led by Prof. Adrian Lister at the Natural History Museum in London have shed new light on these elephants. The team focussed their efforts on one of the extinct elephant populations that lived ca. 3500 years ago in what today is southeastern Turkey. They specifically analysed elephant teeth that had previously been excavated from a lake deposit commonly known as ‘Gavur Lake Swamp’. These elephants appear to have lived and died naturally around this lake since the researchers have found no evidence of human activity on the bones or tusks, the latter of which was, and still is, a valued commodity for humans. The researchers first analysed the morphology of the elephants’ teeth and showed that most teeth were indeed very similar to modern East Asian elephants. However, some teeth bore unusual features, raising the question of whether this population in fact was evolutionarily unique and only distantly related to elephant populations still living in East Asia. To resolve this question, the team extracted and sequenced ancient DNA from the same teeth and compared the DNA sequences to those of modern elephants from across East Asia. This showed that the Gavur Lake Swamp elephants’ DNA was evolutionary very close to the DNA found in modern East Asian elephants; in fact, they found an identical match to a modern elephant from Thailand. They thus concluded that the elephants that once lived in Turkey were genetically similar, and thus closely related, to extant East Asian elephants, and that this ancient population harboured greater morphological variation than their modern counterparts. This post is by Cyler Conrad, author of the recently published paper “Archaeozoology in Mainland Southeast Asia: Changing Methodology and Pleistocene to Holocene Forager Subsistence Patterns in Thailand and Peninsular Malaysia.” He is a PhD student in the Department of Anthropology at the University of New Mexico, Albuquerque, New Mexico. There is a rich diversity of animals – mammals, birds, reptiles, fish and mollusks – in Mainland Southeast Asia, but which of these animals did prehistoric human foragers consume? This paper takes a closer look at the fauna exploited by hunter-gatherer groups in Thailand and Peninsular Malaysia during the last 50,000 years. My goal was straightforward: I wanted to explore broad patterns in the faunal data from this ecologically rich region. What types of prey were commonly hunted? Did this change over time? I reviewed the literature, compiled the data, ran several metrics to explore changes in faunal composition, and found several distinct patterns. First, it became apparent that prehistoric hunter-gatherers in Southeast Asia consumed Chelonians (tortoises, hard-shell turtles and soft-shell turtles) abundantly over the past 50,000 years. 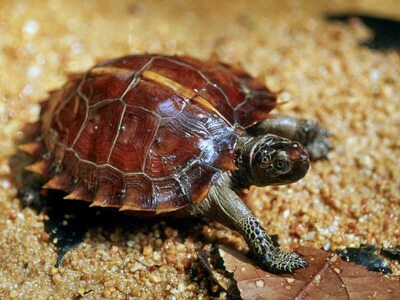 However, there do not appear to be tortoise or turtle-related extinction events during this same period – a striking difference from modern trends in Chelonian exploitation (Asian Tortoise and Freshwater Turtle Status). The trend in Chelonian exploitation during the late Pleistocene and Holocene is likely more complex (e.g. species specific exploitation) than I identified here. One issue confronting Southeast Asian zooarchaeologists is identification of tortoises, turtles and other reptiles in archaeological sites (see here for recent approaches). Most turtle and tortoise identifications are made to the Order or Family level, but no lower. Clearly, reanalysis of Chelonian assemblages is needed in Mainland Southeast Asia to understand what types of species-specific exploitation occurred during this period. In addition to turtles, hunter-gatherer groups commonly consumed several other types of taxa, such as deer, wild boar and monitor lizards. In some regions deer were more abundant (Thai sites) and in others wild boar were more common (Peninsular Malaysian sites). Finally, the diachronic analysis of the faunas showed a surprising pattern: little change over time. This was particularly remarkable during the Pleistocene-Holocene transition, when climatic changes are thought to have driven subsistence change in this region and elsewhere in the world. Fig 2. Chelonian carapace specimens recovered from Banyan Valley Cave, Mae Hong Son Province, Thailand. Photo credit: Original by Chester Gorman, copy provided by Joyce White and the Institute for Southeast Asian Archaeology. While it is my hope that this paper will provide novel insights into the Mainland Southeast Asian zooarchaeological record, there is much more work needed before we fully understand why these taxa were such popular food items for prehistoric hunter-gatherers. 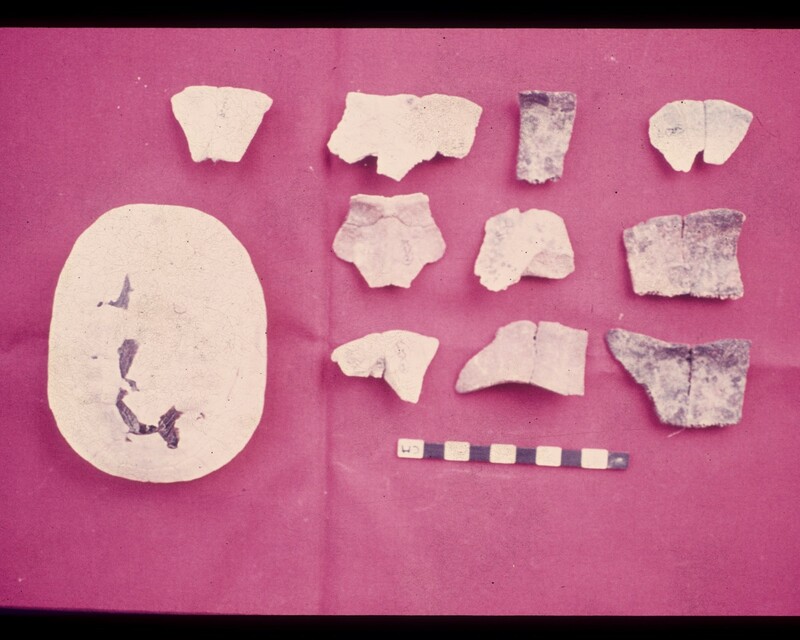 Our blog post series highlighting recent articles is back, starting with the first of our summer publications, “The Promise and Peril of Older Collections: Meta-analyses and the zooarchaeology of Late Prehistoric/Early Historic Mexico” by Emily L. Jones and Caroline Gabe. Emily Jones is an Assistant Professor at the University of New Mexico, New Mexico, US. In the past 5 years analyses rooted in “big data” have become ubiquitous in archaeology as elsewhere. Frameworks for successful conservation projects, the origins and spread of animal husbandry, the growth of London’s northern trade – all these topics and more have been the subject of recent meta-analyses. Such results are clearly breaking new scientific ground, but the plethora of such big studies has also highlighted concerns. Critiques of “big data” (for example, this 2014 opinion piece in the New York Times) have pointed out that when data included in analysis are collected with varying methods, spurious findings can result. A Harvard Business Review article title puts it succinctly: “Google Flu Trends’ Failure Shows Good Data > Big Data”. My student and colleague Caroline Gabe and I both work with archaeological collections – that is, material recovered from excavations that took place sometime in the past. These collections are sometimes the result of relatively recent excavations, but sometimes they were recovered much longer ago, as far back as the early 1900s. The archaeologists excavating in the first half of the twentieth century used very different methods than we do now. In addition, older methods of curation can lead to the loss of some data, further biasing results. In short, archaeological meta-analyses involving both older and newer collections have the potential to be problematic for many of the same reasons that Google Flu Trends failed. This specimen from the Comanche Springs collection was originally identified as a “skull” – even though all we found during reanalysis was bone fragments, roots, and dirt (photo by C. Gabe). So when the opportunity arose for us to participate in a symposium on zooarchaeological meta-analyses, we leapt at the chance to explore how the simultaneous use of older and newer zooarchaeological data might impact analyses. 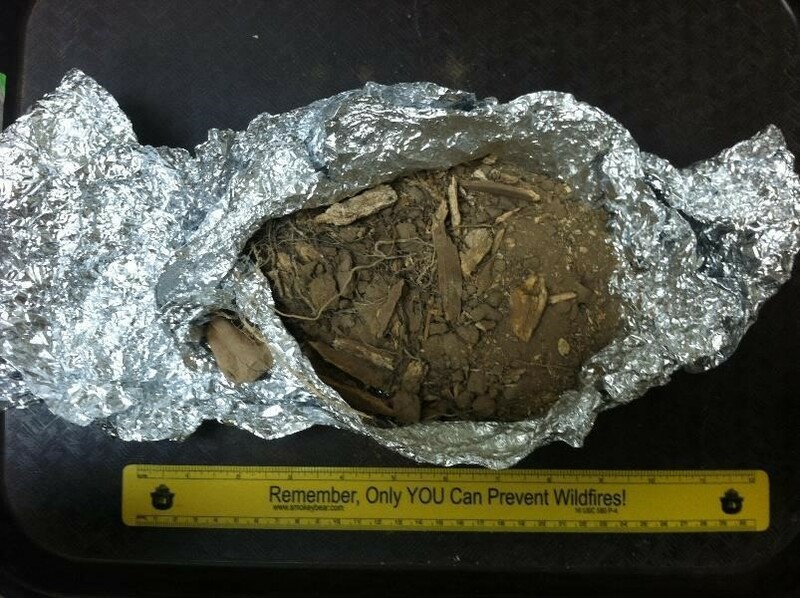 Our Open Quaternary article, The Promise and Peril of Older Collections: Meta-Analyses and the Zooarchaeology of Late Prehistoric/Early Historic New Mexico, is the result. While (as our title suggests) we did find many potential problems in archaeological meta-analyses that involve both older and more modern collections, we also explored some ways to address these problems. The “promise” we identify begins with understanding the perils! This post is by Erik Ersmark, lead author of the recently published paper “Population Demography and Genetic Diversity in the Pleistocene Cave Lion“. He is a PhD candidate in the Department of Bioinformatics and Genetics at Stockholm University and the Swedish Museum of Natural History, Stockholm, Sweden. Today’s African savannah boasts an impressive biodiversity of large mammals that is unique in the modern world. However, this kind of ecosystem was not always restricted to the grasslands of Africa. Far back in time a similar steppe stretched across the entire Eurasian continent all the way from Spain to Alaska, a huge northern savannah inhabited by huge mammals. But although similar, it was at the same time quite different: instead of wildebeests, buffalos and elephants, this steppe was home to bison, aurochs and woolly mammoths. Its fauna was well adapted to the prevailing dry and sometimes quite cold conditions, in many cases to such an extent that these animals were only found in this specific environment. The vast mammoth steppe did not only contain mammoths, horses and other grazers. Preying on the large herbivores were large predators like wolves, sabretooth cats and lions. The lions were of a robust type, slightly larger than their modern counterparts, and although recognized as lions from their remains, no one today knows precisely what they looked like. We know that humans did encounter them far back in time, since they in some cases depicted the lions and thereby provided us with some hints of their appearance. Lions are in fact frequently occurring in Palaeolithic art, perhaps most prolifically and famously so in the cave paintings from the Chauvet cave in France, dating back some 30 thousand years. Cave sites like this have sometimes also contained the actual remains of lions, which has led to the somewhat misleading name given to them – cave lions. Along with so many other large bodied “cave animals”, the cave lion did not survive into historical times. They went extinct at the end of the Pleistocene era around 14,000 years ago, and around this time the entire mammoth steppe was also fading and it was eventually transformed into woodland and barren tundra. In order to better understand the population dynamics of the cave lion, we analysed remains gathered from across the former mammoth steppe. We specifically focused on north eastern Siberia, which in the Late Pleistocene was part of Beringia – a vast northern landmass bridging Eurasia and North America. Since the ground is permanently frozen throughout most of this region, the remains found there are usually very well preserved, enough so that it is even possible to extract DNA from them. Together with radiocarbon dating, this DNA provided us with data on how the genetic diversity had changed over time. After all analyses had been performed, the results could give us a glimpse of what had happened to the cave lions of Beringia. What the results showed was something already suggested in a previous study by Barnett et al. (2009); that the Beringian cave lions had suffered a decline, long before they eventually went extinct. The genetic diversity clearly showed a pattern of a bottleneck having taken place far back in time. By running powerful simulations on our data together with those from the previous study, an estimate was obtained of a decline in population size starting almost 50,000 years ago. This decline seemed to have been both severe and long lasting, because it was not until a few thousand years before its final extinction that the cave lions started to recover. The question we were left with was why this bottleneck had taken place. What was the underlying cause or causes? 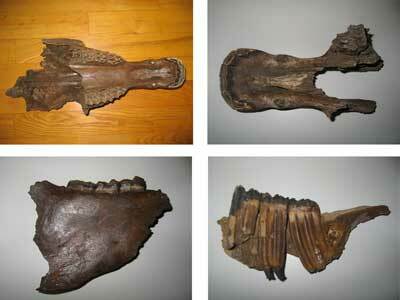 What was more, many other large mammals also seem to have suffered declines in Beringia over this time period. This period did coincide with the expansion of a new kind of predator across Eurasia – modern humans. However, there are so far no reliable human traces of that antiquity (the start of the bottleneck) from inside Beringia, which makes us less likely as suspects. Our results open up for many interpretations, but also for many further studies of the lost and diverse fauna of the mammoth steppe. You can read the full article, completely free, in our latest issue of Open Quaternary. This post is by Haskel J. Greenfield, lead author of the recently published paper “Estimating the Age- and Season-of-Death for Wild Equids: a Comparison of Techniques Utilising a Sample from the Late Neolithic Site of Bad Buchau-Dullenried, Germany“. Greenfield is a Professor in the Department of Anthropology, University of Manitoba, Canada. The genesis of this study was an odd email request from a German colleague (Karlheinz Steppan) to see if someone was willing to conduct a dental cementum analysis of wild equid specimens from the Neolithic settlement at Bad Buchau-Dullenried, Germany. In my usual exuberance (and naiveté), I thought that this was an interesting opportunity to learn about horse cementum, while collaborating on the analysis of Neolithic material (always a passion of mine). I had already done previous cementum work with my students on sheep and goat. How difficult could it be to do equids, I thought. Well, I should have spoken with my good friend and colleague, Arianne Burke at the University of Montreal, before I embarked on what became a six year quest. On the surface (pun intended! ), it was actually much easier to thin-section equid teeth than sheep and goat. Equid teeth were larger and the cementum layers longer and thicker. I thought it should be a “no brainer” to thin-section them and do the seasonality and ageing analyses. A horse skull. Image from Wikipedia. In fact, nothing proved to be simple other than recruiting Collin Moore (at that time, a MA student in Biological Anthropology at the University of Manitoba; currently, finishing his PhD at the Max Planck Institute for Evolutionary Anthropology, Leipzig) to help me with the project. Collin was a particularly apt collaborator for this research since his specialty was the analysis of dental microstructures (albeit in humans) with new digital technologies. Once Karlheinz had sent us the specimens, we began to prepare our documentation and analytical protocol. The thin-sectioning stage went relatively easily once we had selected, documented, and prepared the specimens. Once the slides were ready for analysis, we began by independently examining them in a traditional light optical microscope. Of course, the results were contradictory. Then, Collin suggested that we use the new digital microscope that my colleague, Robert Hoppa, had installed in the Bioanthropology Digital Image Analysis Laboratory at the University of Manitoba. This opened up a wealth of visual and data analytic techniques for mapping and analysing the cementum increments. The problem was: how to interpret the results? This is where the science and the art begin to separate in our discipline. The scientific techniques were there, but the interpretation becomes the art. It is in the art that all the techniques and analysts begin to differ, we discovered. Four of the samples used in the study. From Greenfield et al. 2015. Given our initial consternation at having come up with different results for ageing and season of death of the samples, we decided to use the specimens to test the various ageing and seasonality techniques for equids that have been published and become widely accepted by zoologists and zooarchaeologists. This forced us to backtrack and begin the analysis again, without any preconceptions. First, we analysed the remains using traditional veterinary and zoological techniques, such as incisor tooth wear. Then, we tried using Marsha Levine’s commonly applied cheek tooth height formula. Finally, we began to analyse the specimens using well-established and age verified Arianne Burke’s protocol for dental cementum. These were then compared with our results from the new automated technology. The results were surprising—and disconcerting. The tooth eruption and wear and crown height measurement techniques yielded the lowest age estimations and were not useful for seasonality determination. Simply based upon comparison with modern tooth eruption analogues, the age of any individual analysed in this manner would be underestimated. The manual increment counting age estimation technique yielded wider variation in age estimation than the other techniques, and older age estimation than tooth wear/eruption or crown height measurements. The line histogram technique yielded narrower range of age estimation than manual observations, but still yielded a slightly older age range. The automated age estimation technique yielded the narrowest range of age estimation. However, age values were slightly higher than with the manual or line histogram results. In contrast, all of the thin-sectioning techniques yielded a similar range for the season-of-death of the animal. However, we found that it was most efficient to use the automated technique to pinpoint when in the cold or warm seasons that the specimen may have died. Overall, the automated technique was by far the most efficient in terms of time and effort, and the most accurate when comparing teeth from the same individual. The automated technique provides the narrowest age- and season-of-death range. It is the most effective, as well as the most efficient in terms of time and energy, technology to use. The application of the new digital technologies is the way out of the intellectual trap of “which technique is superior” because it removes much of the “art” (or human observer variability) from analysis. What do we learn from this experiment? The most important result is to never simply to use one technique of analysis. Which technique is closest to the truth? Who knows, but we learned a lot while doing it! Several months ago, we introduced Open Quaternary in a so-called “soft launch”. All the odds and ends had been settled with our open-access publisher, Ubiquity Press, our website went live, and we began to solicit paper submissions. We also began a Facebook page, started tweeting at @OpenQuaternary and Simon Goring, an editorial board member and the research blogger behind downwithtime, graciously got this blog off the ground. The new Open Quaternary website, highlighting recently published and top articles. Last week saw our official launch, with 3 diverse publications representing our research and methods paper categories on a brand new, redesigned website. In addition, we, the editors in chief, included an editorial announcing the launch and papers. In just two days of launching, we had over 1000 sessions and over 2700 page views. Moving forward, we have a number of submissions in the review process, including papers in our public engagement and data categories as well as a special collection based on conference proceedings. In the meantime, we will be sharing a series of blog posts on our published articles here at the OpenQuaternary Discussions blog, so watch this space! Of course, if you have not yet read the editorial or articles, you they are available, free, and can be viewed or downloaded at openquaternary.com. We are currently accepting paper submissions on a rolling basis.